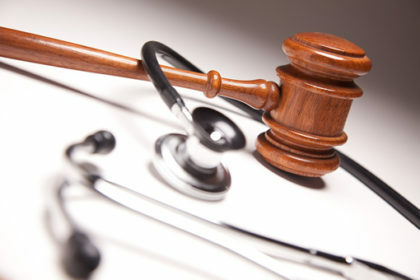 What is Medical Negligence? Lynch Solicitors can advise you. 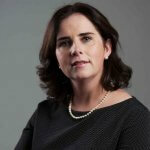 Medical negligence is a rapidly expanding area of litigation in Ireland. Medical Negligence is essentially an act or omission by a health care professional which is below the accepted standard of care and which results in injury or death to a patient. How does Medical Negligence occur? Disclosure – i.e. failure to inform the patient of the risks of the treatment of procedure. In one case a patient died of a brain haemorrhage. He attended his GP several times before his death complaining of headaches. He was sent to casualty but was not admitted and the next day he was admitted again, unconscious, and died soon after. The High Court found that the GP was negligent because he did not take into account the man’s version of events and his detailed accounts of the seriousness of his symptoms. The Supreme Court also found in favour of the plaintiff, but on the grounds that where the casualty officer ignores and does not follow up on a referral letter, it is an “inherently defective” practice and is negligent. Early detection is vital as it enables timely medical treatment, and in many cases the patient can be cured. There are unfortunately many cancer sufferers who are misdiagnosed as not having cancer. Our experience in dealing with these cases shows that there are several reasons why a cancer misdiagnosis can occur – most of them as a result of human error or a lack of skill. A doctor may not respond appropriately when a patient presents displaying symptoms of cancer- there may be a failure to thoroughly examine or a failure to recognise the symptoms and signs of cancer. There may be a failure to refer to a cancer specialist or a failure to appropriately monitor a patient who has a family history of cancer. In a great number of cases that have come before the Courts it has been shown that laboratory results and scans are often misinterpreted by technicians too frequently. How could the treatment – i.e. errors in the medical treatment such as incorrect medication, surgical errors, exposure to infection (MRSA etc) – a patient receives amount to medical negligence? In another case the Plaintiff’s husband had surgery to remove a tumour in his throat. On the second night after the surgery the tracheotomy tube was put out of place. By the time the airway passage was established the man was brain dead. The case was brought on the grounds that the surgeon allowed his patient to recover in ICU where there was no-one trained to replace a tracheotomy tube. The defendants disputed liability on principle of “general and approved practice”. The Court acknowledged that nurses in Ireland are not specially trained to change tubes of this type and that no negligence therefore arose on this point. However, he also noted that this was an emergency situation which required special training. The Court found that failure to have a person, nurse or doctor in the ICU who was trained in the replacement of a tracheotomy tube, under the circumstances, was an “inherent defect”. The surgeon was found guilty of negligence because the deceased would not have died if a trained person been present in ICU. How could medical negligence occur due to Disclosure – i.e. failure to inform the patient of the risks of the treatment of procedure? the severity of the consequences the frequency of risk the plaintiff’ s particular circumstances prior to the surgery. How would you know if you have a claim in Medical Negligence? If you, or a family member, have suffered injury due to the actions or inactions of a medical professional you may be entitled to compensation. You will be able to discuss the facts of your situation, in detail, with a member of our medical negligence team. As experts in the area of medical negligence litigation, we will assess your complaint and assist you in reaching a decision on whether to make the claim or at the very least investigating it further. How is Medical Negligence proven? Damage – Regardless of whether or not the health care provider was negligent, there is no basis for a claim in negligence without damage, be it monetary, physical or emotional. 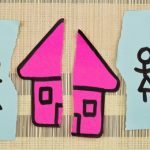 What steps do does the solicitor take to establish a possible case or “cause of action”? Take up copies of all medical records and check them. Medical experts specialising in the particular area of medicine involved will then be asked to consider whether or not the treatment received was negligent or sub-standard and if so the extent of the damage it caused. For further information or if you wish to discuss any issue please contact [email protected] or telephone 052-6124344.